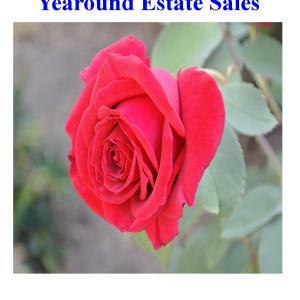 Yearound Estate Sales is a local company you can trust for a successful estate sale of your personal property and precious belongings. Our years of experience and a staff of lifelong residents of the Portland area gives us a unique perspective of the local marketplace which helps us to achieve maximum results for you and your family. Yearound Estate Sales is Licensed and Insured with a long time membership in ACNA - Antiques & Collectables National Association. Quite often we encounter firearms in estates where families are concerned about selling them. We possess a FFL/Federal Firearms License. This allows us to legally sell your firearms in a safe, secure manner to the public and to also realize a high market price using our knowledge, experience and different avenues and techniques to market them. Of course, individual firearm consignments are always welcome. If you or your family are moving, downsizing or have experienced a death in the family then Yearound Estate Sales is the company to call. Because we believe very strongly in great customer service, Yearound Estate Sales goes the extra mile before, during, and after the sale. For professional, expert, friendly service and to determine the best solution for your situation call Dan Andersen for a free consultation at: 503-704-1605. This is a more complete list of cities we serve: Portland, Beaverton, Tigard, Hillsboro, Aloha, Wilsonville, Tualatin, Lake Oswego, West Linn, Oregon City, Clackamas, Gresham, Canby, Sherwood, King City, Forest Grove, Cornelius, Newberg.